Oslo is one of the world's largest capitals in terms of area, but only 20 percent of this land mass has been developed - the remainder consists of parks, protected forests, hills, and hundreds of lakes. Parks and open spaces are an integral part of Oslo's cityscape, and are easily accessible from almost anywhere in the city. The center is a joy to explore on foot thanks to the numerous pathways and trails connecting its public spaces, as well as its many pedestrian-friendly areas, including the city's main street, Karl Johans gate. Stretching from Oslo Central Station near the waterfront all the way up to the Royal Palace, this wide avenue passes many of Oslo's tourist attractions, including the palace, the National Theatre, the old university buildings, and Oslo Cathedral. Regularly ranked as one of the best cities in the world in which to live, Oslo boasts a rich cultural scene and numerous things to do, and is famous for its theater, museums, and galleries. The iconic Vigeland Sculpture Park, which sits inside Oslo's famous Frogner Park, is one of Norway's most famous tourist attractions. Open year-round, this unique sculpture park is Gustav Vigeland's lifework and contains 650 of his dynamic sculptures in bronze, granite, and wrought iron. The majority of the sculptures are in five themed groups along a 853-meter-long axis. The oldest is the fountain group, depicting the cycle of human life, beyond which can be seen the 16-meter-high Monolith, comprising 121 intertwined human bodies. Tourists will want to spend time exploring the rest of Frogner Park, where there are ample green spaces for picnics, recreational facilities, an enormous rose garden, and the nation's largest playground. 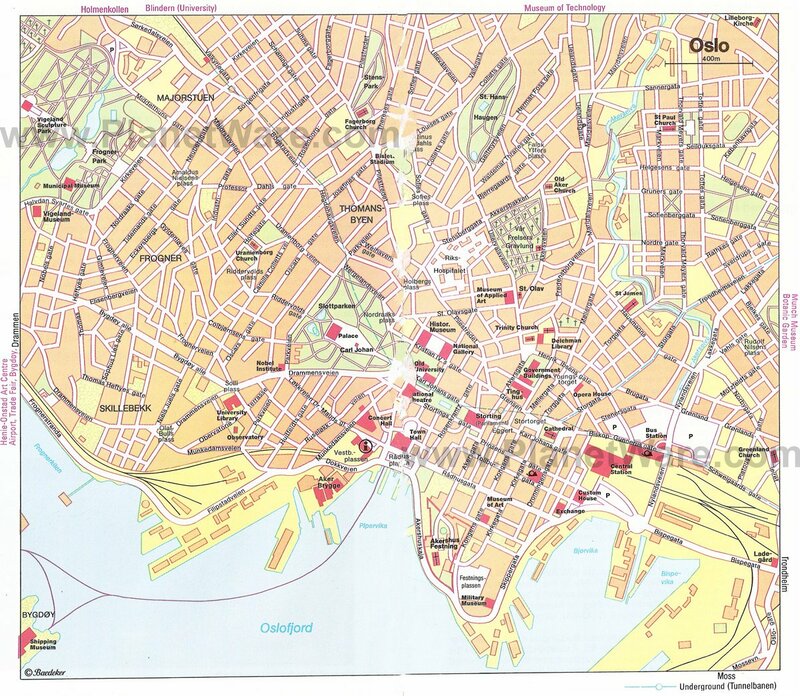 Here, you can also find the Oslo City Museum, as well as the Vigeland Museum, which is just outside the park. Rising above the Oslofjord on the promontory of Akernes sits the majestic Akershus Fortress, built by Håkon V at the end of the 13th Century. Take your time to wander the grounds and ramparts with their wonderful harbor views before exploring the quaint chapel with its tomb of Håkon VII (1872-1957) and the remains of the original medieval castle. Also located in the grounds is the Museum of the Norwegian Resistance. Be prepared to spend a few hours here learning about the German occupation of 1940-45. If you've any energy left, head over to the Norwegian Armed Forces Museum in Oslo's old Arsenal with its displays of weapons and exhibits illustrating the history of the Norwegian forces and the defense of Norway down the centuries. No trip to Norway would be complete without visiting at least one of the many museums and exhibits dedicated to the country's Viking past. One of the best is the Viking Ships Museum, home to three historic 9th-century vessels, the best-preserved being the 21-meter-long Oseberg Ship. The largest surviving pre-Christian artifact in Scandinavia, this impressively decorated vessel was built around AD 800 and was used for the burial of a chieftain's wife and two other women. They were buried with a large selection of items, including furniture, clothing, and personal items, which provide a great deal of insight into Viking life. The other vessels on display include the 23-meter-long Gokstad Ship, a seagoing vessel designed for use under sail or with oars, and the less intact Tune Ship. The museum's film Vikings Alive provides a fascinating look at these artifacts and demonstrates the long process of Viking shipbuilding by use of CGI animation. The museum is also home to several additional exhibits and films, which explore Viking life on the seas. Oslo's National Museum encompasses the National Gallery and the National Museum - Architecture, as well as additional collections of contemporary art and design. Oslo's National Gallery houses the country's largest art collection, featuring the works of Norwegian artists from the 19th century through the present, including J. C. Dahl and several works by Edvard Munch, including his most famous work, The Scream. The new National Museum, which should be completed by 2020, will eventually house collections from the currently closed Museum of Contemporary Art and the Museum of Decorative Arts and Design, as well as become the home for the National Gallery collections. Tourists should be aware that various exhibits may not be open during the move, so check the museum website prior to planning a trip. The National Museum - Architecture, which includes historical and contemporary examples, as well as sketches and conceptual pieces, will remain at its current location at Bankplassen 3. Dedicated to the life and work of Norway's greatest painter, Edvard Munch(1863-1944), the Munch Museum contains a vast collection of paintings, graphic art, drawings, watercolors, and sculptures from the great artist's life. Containing almost 28,000 works of art in addition to personal effects and tools - even his private library - the museum also puts on special exhibits devoted to particular aspects of Munch's work through film screenings, concerts, guided tours, and lectures. Located high up on the northwest end of Karl Johansgate, the Norwegian Royal Palace, built in 1825, dominates the cityscape. The impressive 173-room building is open to the public for guided tours during the summer only, with English-language guides four times daily. Tours include the Cabinet Parlour and Cloakroom, the White Parlour, Mirror Hall, Great Hall, Banquet Hall, and other significant rooms in the palace. Visitors are also free to wander the grounds and gardens or watch the regular changing of the guard year-round. Just to the south of the palace sits the Norwegian Nobel Institute, where the Nobel Peace Prize is presented. The Museum of Cultural History also operates the Viking Ship Museum and oversees the city's Historical Museum, which explores various aspects of human history. It houses the largest assembly of Egyptian artifacts in Norway, including mummies and funerary objects. The museum's Medieval Gallery is also extensive, exhibiting an impressive collection of daily items, as well as several examples of church art and religious artifacts. There is also a large exhibit dedicated to the history of gold coinage, including examples of coins from the past 2,600 years. Other areas of the museum focus on looking at people, exploring the lives of indigenous peoples, as well as a thought-provoking exhibit about humanity's ability to overcome threats and challenges beyond its control. The museum also hosts a variety of temporary exhibits and continues to add to its Viking Age Exhibition, which contains rare items, like a preserved Viking helmet. Named after the first Norwegian ship built specifically for polar research, the Fram Museum is a must for anyone with an interest in Arctic exploration. The museum's star attraction is the Fram, an icon due to its many successful polar voyages, as well as Gjøa, the first ship to navigate the Northwest Passage. In an adjoining building is the Kon-Tiki Museum, with its displays dedicated to Thor Heyerdahl, famous for sailing from Peru to Eastern Polynesia in 1947 on the famous raft. The museum also houses the 14-meter-long papyrus Ra II in which Heyerdahl crossed the Atlantic in 1970. While there, be sure to visit the nearby Norwegian Maritime Museum, with its fascinating exhibitions about fishing, shipbuilding, and marine archeology, as well as an impressive collection of models and paintings. Located at the base of Holmenkollen Ski Jump, the Ski Museum is the oldest of its kind in the world, open since 1923. Here, ski enthusiasts will find exhibits and artifacts chronicling nearly 4,000 years of ski history and exploring various related topics, including weather and polar exploration. The oldest ski on display here dates back to AD 600, and there are several other examples, including skis from the 8th, 10th, and 12th centuries. Other skis in the collection represent a wide variety of terrain and uses, from mountain skis to fast skis, and even the longest skis. The museum also has a "Hall of Fame" dedicated to great Norwegian skiers, interactive exhibits about modern skiing and snowboarding, and information about Fridtjof Nansen's polar explorations on the ship Fram. Guided tours include the Ski Jump and its Jump Tower Observation Deck, which has excellent views over the city. Although consecrated in 1697, Oslo's Cathedral has been rebuilt and renovated numerous times. Its tower was rebuilt in 1850, while its interior was renovated soon after the end of WWII. Notable features include the main doorway with its decorated bronze doors, as well as the ceiling paintings by H. L. Mohr, the Baroque pulpit and altar (1699), and the stained glass by Emanuel Vigeland. Afterwards, be sure to visit the Oslo Bazaar along the old church walls. Dating back to 1841, these fascinating halls are now occupied by galleries, cafés and antique dealers. Oslo's enormous City Hall (Rådhuset) is undoubtedly one of the city's great landmarks. This imposing square building, built of concrete faced with brick, was designed by Arnstein Arneberg and Magnus Poulson and has two towers, one of them adorned with a huge clock face. One of the towers houses the 38 bells that can be heard chiming throughout the harbor area. Along with its fascinating facade with its sculptures and reliefs, the interior is also worth a visit, boasting a rich fresco created by Henrik Sørensen, Per Krohg, Edvard Munch and other famous Norwegian artists. 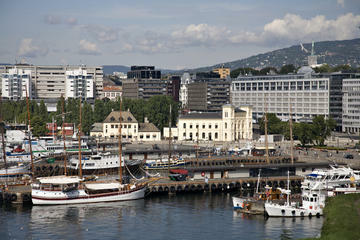 Built around an abandoned shipyard, Oslo'a Aker Brygge area is the heart and soul of the city. Bustling and vibrant day and night, its stunning architecture - that magnificent blend of new and old that perfectly compliments Norway's stunning natural beauty - is everywhere on display, and everywhere breathtaking. It's estimated that 12 million visitors find their way to Aker Brygge every year, drawn by its sea-front boardwalk, fine shopping, great restaurants, and cozy year-round patio bars with their snug rugs and fireplaces. While visiting, be sure to pop into the newly opened Astrup Fearnley Museum of Modern Art. The museum consists of two buildings: one for its own collection of works by such greats as Andy Warhol, Damien Hirst, and Jeff Koons, the other for rotating exhibitions. Oslo's Natural History Museum - consisting of the Geological Museum, the Zoological Museum and Botanical Gardens - is Norway's largest natural history collection. The Geological Museum includes minerals, precious metals and meteorites, plus an impressive collection of dinosaur skeletons, while in the Zoological Museum you'll find dioramas of Norwegian fauna. Best of all, however, is the exquisite Botanical Garden. Founded in 1814, the garden features 7,500 different plant species from Norway and other parts of the world, 1,500 of them located in the beautiful Rock Garden with its waterfalls. Home to the Norwegian National Opera and Ballet, as well as the National Opera Theatre, the 1,364-seat Oslo Opera House seems to almost want to slip into the city's harbor, an effect exaggerated by its angled exterior surfaces. Clad in Italian marble and white granite, the Opera House is the largest cultural building constructed in Norway since Trondheim's Nidaros Cathedral in the 14th century. In addition to its many performances, visitors can also participate in a variety of interesting public programs and behind-the-scenes tours, as well as enjoy the views from a stroll on the building's roof. If you are visiting Oslo during August, be sure to spend some time enjoying the month-long Festival of Chamber Music, which includes dozens of chamber music concerts drawing internationally acclaimed musicians from around the globe. Performances take place in the spectacular Akershus Fortress, with the stunning Oslofjord as a backdrop. Taking place the same month and in the same location, the Oslo Jazz Festival is another huge draw for musicians and fans alike. Oslo also hosts the Ultima Contemporary Music Festival in mid-October, which features a competition for new orchestral works. Luxury Hotels: Minutes on foot from some of Oslo's top museums and galleries, central station, and the Royal Palace, the eco-conscious Thon Hotel Rosenkrantz Oslo sports bold, contemporary decor, and the good-value rates include a breakfast. Within walking distance of Aker Brygge, the National Gallery, and Royal Palace, the family-run Hotel Continental Oslo is adorned with distinctive works of art and elegant furnishings. Each room is unique. The pet-friendly Clarion Collection Hotel Bastion is also in a handy location, near Central Station and the opera house. Rates include an organic breakfast and a light buffet dinner. Mid-Range Hotels: In the heart of the city, near central station and the National Gallery, Clarion Collection Hotel Folketeateret sits at the top-end of the mid-range hotels, with its cozy, contemporary rooms and a free breakfast. The earthy, textural decor is a standout feature of the eco-friendly Oslo Guldsmeden, 100 meters from the Royal Palace, near Aker Brygge. Rates include breakfast made with produce from local farms. On a quiet side street in the city center, Thon Hotel Munch has crisp white rooms with bold splashes of color and an organic buffet breakfast. Budget Hotels: Central Oslo has few budget options, but the Cochs Pension is one of these, in a great location near the Royal Palace. Rooms come with fridges and some have kitchenettes. Smarthotel Oslo is another central option. The rooms are small, but the hotel lies just around the corner from Oslo's main shopping street. About 20-minutes away from the city center by tram, Oslo Hostel Haraldsheim is also budget friendly. Rates include breakfast and parking. Hopping around Town: The City Sightseeing Oslo Hop-On Hop-Off Tour is the perfect way to visit Oslo's top tourist attractions and includes an on-board commentary by a knowledgeable guide. This 24-hour pass allows access to 18 major sights, including the National Theater, Vigeland Sculpture Park, the Viking Ship Museum, and Oslo Cruise Ship Terminal, ensuring that you are able to get the most out of your trip. 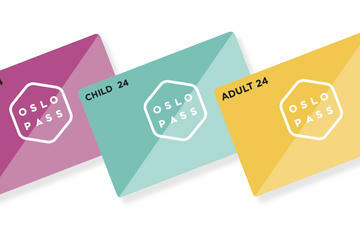 All-Access Pass: Especially handy for those who want to visit multiple tourist attractions, the Visit Oslo Pass is a fantastic way to ensure you don't go over budget with admission fees and transportation costs. The pass is valid for admission to a staggering 36 attractions; entitles the bearer to significant discounts at additional attractions, as well as sightseeing tours and restaurants; and grants unlimited use of public transportation within zone 2 including tram, boat, bus, and trains. Those who opt for the 72-hour pass will also get a complimentary pass for the Hop-On Hop-Off Tour. The Best of Oslo in One Day: Tourists with limited time in Oslo will appreciate the Oslo Combo Tour with a Grand City Tour and Oslo Fjord Cruise. This seven-hour experience includes photo-op stops at Vigeland Park and the Holmenkollen Ski Jump, as well as visits to several top museums, including the ship museums at Bygdøy Peninsula. To finish a perfect day, passengers will transfer to a boat and enjoy the last two hours on the water of Oslo Fjord while learning more about the area from the knowledgeable guide. Norway's Biggest Fjords: Located on the western coast of Norway, Sognefjord is the country's largest fjord, stretching for 204 kilometers. Sognefjord is a three-hour drive from Bergen, a picturesque city with plenty of attractions and activities for tourists. Just south of here is the Hardangerfjord area, home to Norway's second-largest fjord. This was Norway's first international sightseeing destination, enjoyed by Victorian travelers as early as 1875. Exploring Sweden: Although it is a six-hour train ride to Stockholm, those staying in Oslo for an extended time may want to plan a day exploring all the highlights of this city, which is often called the Venice of the North. Sweden is also home to many fascinating sites, including Kansen, the world's oldest open-air museum. Norwegian Islands: If you are feeling adventurous and have the time, consider visiting the Lofoten Islands, which have an amazingly mild climate despite being inside the Arctic Circle. The country's northernmost city is Tromsø, a major port city, which is visited by tourists hoping to see the aurora borealis, or northern lights, because if its location in the Arctic Circle.